Richard has practised exclusively in crime for many years. 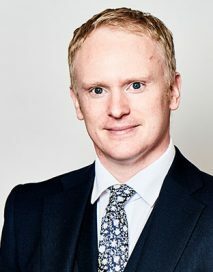 He is highly regarded by instructing solicitors and considered to be extremely good with his lay clients. He is meticulous in preparation and a consummate advocate. Richard’s practice is well balanced between publicly funded general defence and prosecution work covering the spectrum of offences including serious violent offences, public order offences, sexual offences, theft / fraud offences and drugs offences. He has been appointed to the Attorney General’s List of Prosecuting Counsel. He regularly prosecutes for the RSPCA. Common Professional Exams (PGDL), Northumbria University, 2003. Commendation. English with Sports Science, Loughborough University, 1999. BA (Hons) 2:1.